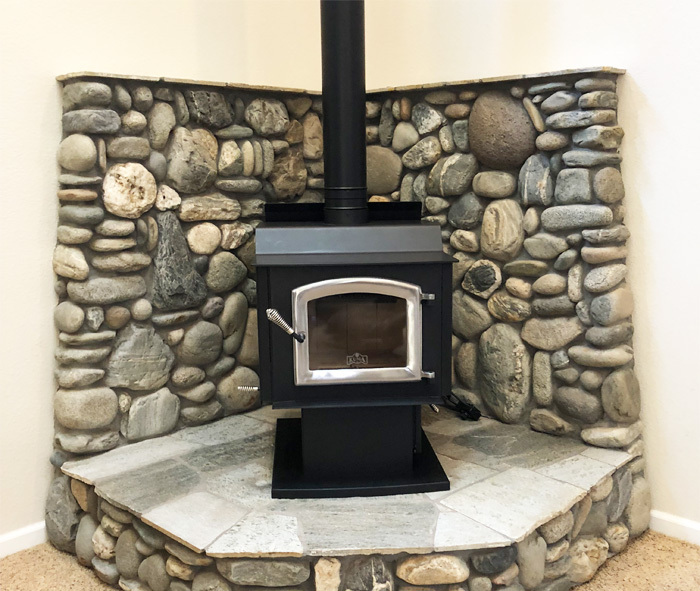 This is a Kuma freestanding wood burning stove, model Wood Classic installed at a home in Tood Valley, CA. 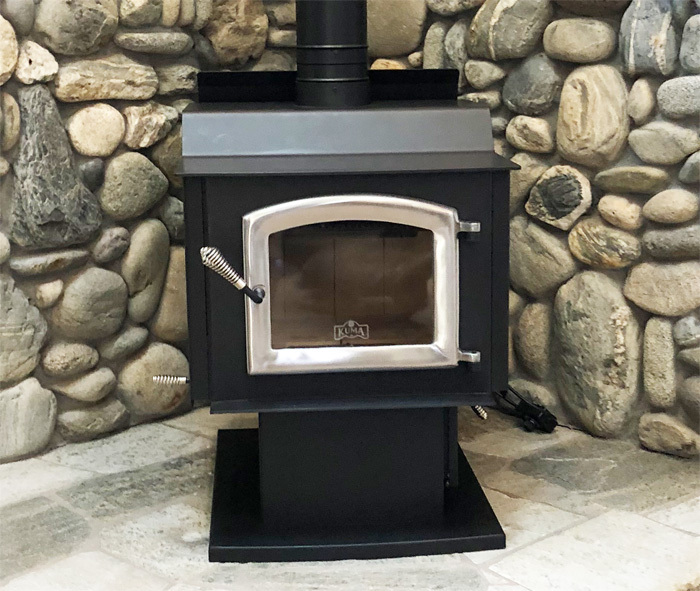 With a step-top cooking surface and a variety of base options, this wood burner has been part of the Kuma wood stove line-up for over 10 years. Also with different door finish options, and optional base ash pan for removing ashes. 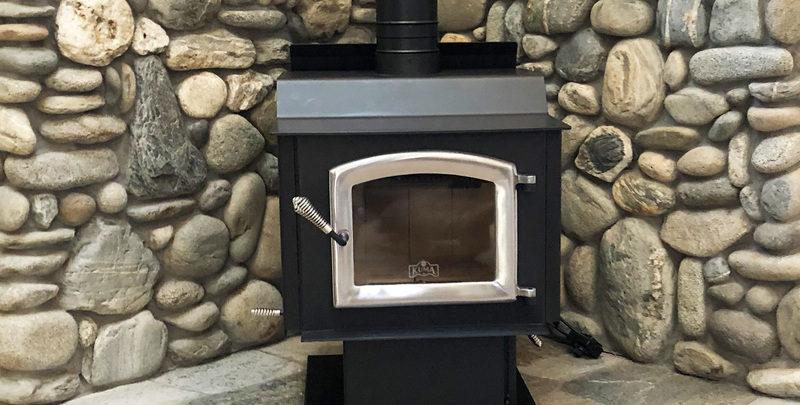 Kuma quotes this stove has ranked in the top 10 of all stoves for EPA listed BTU output, and compared to similar non-catalytic stoves, ranks even higher, at 70,000 BTU. 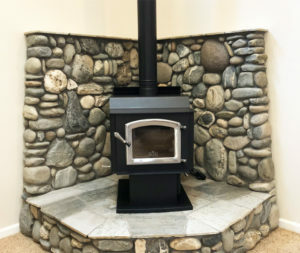 Click pictures to see large view.